I was fortunate to hear and photograph this vagrant Dickcissel, first reported by Tony Jones in Farmington, Utah, in late June. It really was a pretty special bird sighting for Utah. 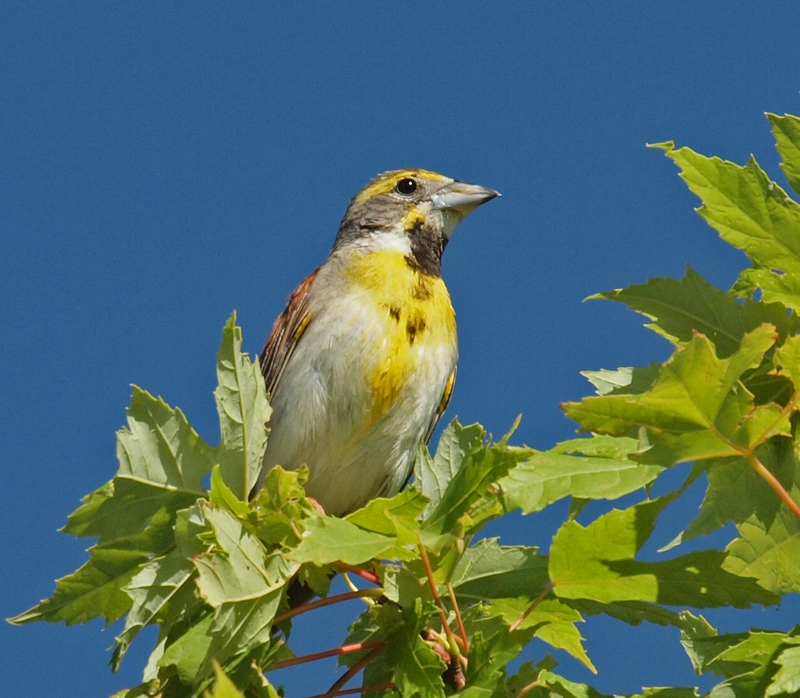 Looking through the Utah Bird Records Committee information, Dickcissels have been reported 10 times, but only three records have been approved by the committee. This should easily be the fourth approved sighting as so many Utah birders got to see and photograph it. What a beautiful bird! The strange name is onomatopoeia; the name describes the sound it makes. Great images of a cool prairie bird. I didnt know they were rare in Utah. I photographed my first Dickcissel earlier this summer too, Robert! Your captures are gorgeous...especially that first one (and I can just hear the call in the second!). 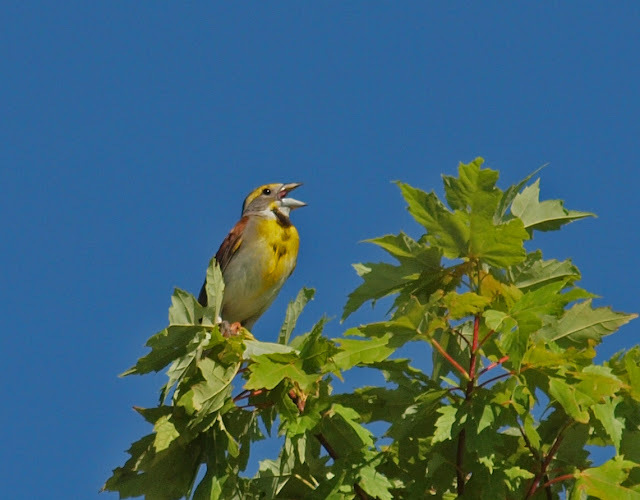 This is a very bright Dickcissel! It's just gorgeous!